Bob Rafelson, labelled one of the kings of independent film in the late sixties and early seventies, was involved in the making of Easy Rider and Five Easy Pieces, among others. He and his partners Bert Schneider and Steve Blauner formed BBS, the production company which went on to make The King Of Marvin Gardens, Five Easy Pieces and The Last Picture Show. 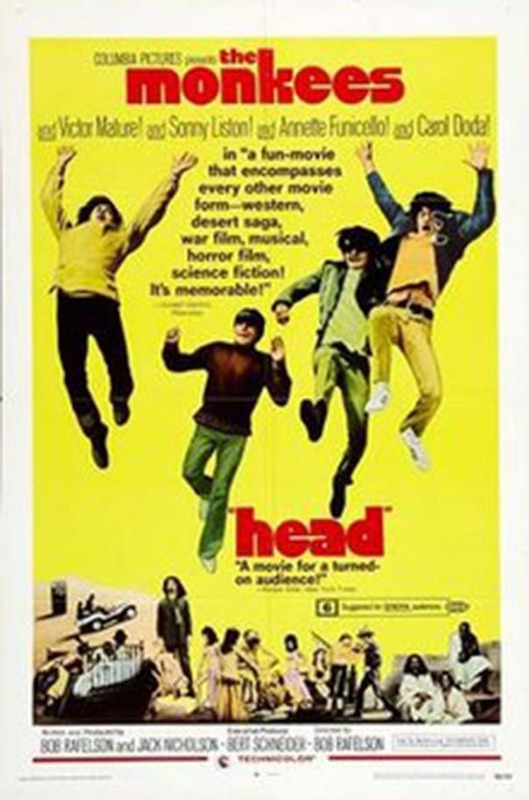 Head was the quintessential late Sixties film; Rafelson claims he was partly influenced by the French New Wave. But, he acknowledges, it wasn’t only Godard who inspired him. Rafelson has made many films with Nicholson. His last feature, Blood and Wine bombed at the box-office despite favourable reviews. He took a job as a hired hand, directing a version of Poodle Springs, Raymond Chandler’s final novel, for HBO. Rafelson’s movies often struggle to find an audience on their first release but then go on to become cult favourites.